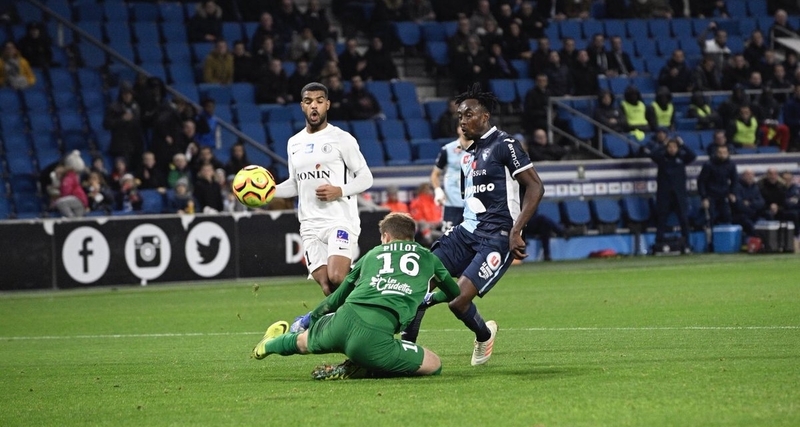 Tinotenda Kadewere scored his debut goal for Le Havre in a 2-1 victory over Chateauroux on Tuesday night. The striker joined the French Ligue 2 side in August from Swedish club Djurgårdens but only made his first appearance last month after spending over four months on the sidelines due to injuries. He found the back of the net after twenty minutes of play by lofting the over the advancing goalkeeper. His goal was cancelled out on the stroke of half-time, but a strike from Algerian forward Zinedine Ferhat restored the advantage a few moments before full-time. Kadewere, meanwhile, also made his full debut for the team, playing the entire ninety minutes. Here is the video of his goal.